Crash Time 3 (also known as Alarm für Cobra 11: Highway Nights) joined the OnLive PlayPack. With this addition, the PlayPack is now at 181 games and counting. Crash Time 3 (also known as Alarm für Cobra 11: Highway Nights) is a racing game based on the popular German TV series Alarm für Cobra 11. It is published by Headup Games and developed by Synetic. There is already a Synetic racing game on the OnLive PlayPack. It's titled Alarm for Cobra 11 Nitro and is also based on the popular German TV series Alarm für Cobra 11. Crash Time 3 is a paradise for car crash aficionados. The story is about Ben Jäger and Semir Gerkhan, the two virtual leading characters of the Crash Time series and also the two leading characters of the popular German TV series Alarm für Cobra 11. They are assigned to infiltrate terrorist activity in the city and the Autobahn. The vehicles are fictitious, but resemble some famous cars, such as BMW 3 Series (E90), Mercedes-Benz C-Class, Dodge Challenger, Audi R8, Lamborghini Gallardo, Aston Martin DBR9, Aston Martin DBS V12, Dodge Ram, Porsche 997, etc. 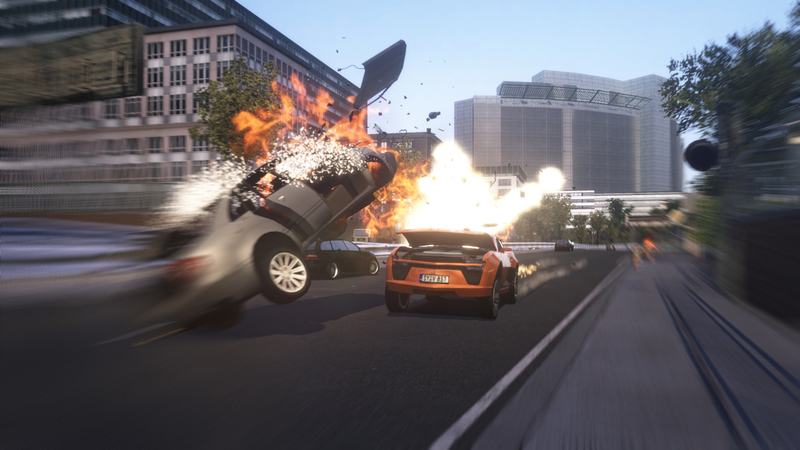 The game consists of more than 50 missions, an area of 32 square kilometers (the city itself is loosely based on the city of Berlin) with more than 200 kilometers of city streets and Autobahn where you get to drive around by day or by night, more than 40 vehicles to choose from, Story Mode with dense story atmosphere, a dynamic in-car pathfinder function, and a typical ambiance of the series, with explosive crashes and high speed chases. You can play the free demo of Crash Time 3 for the US powered by OnLive. You can play the free demo of Crash Time 3 for the UK powered by OnLive.